Intro: A warm hearted hello to everyone and welcome to my intro page. 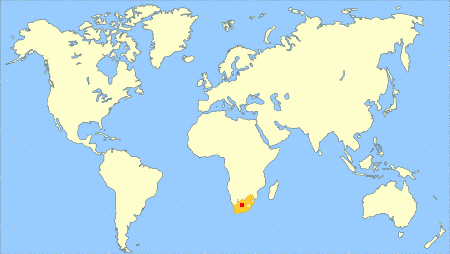 I live in Empangeni, situated on the east coast of Kwa-Zulu Natal in South Africa. It is �16km from Richards Bay, which is one of the main export harbours in South Africa. I have learned so much about nature, photography and post processing since I became a member on this site. I want to thank each and every one of you who contributed in one way or another on this fantastic journey. Since I'm only a stone throw away from the well-known Hluhluwe-iMfolozi Park, I obviously spend a lot of my spare time there. I had the privilege to serve in this park as an Honorary Parks board member for 7 years, but unfortunately I finally had to resign because my legs prevented me from participating to the full. The Kruger National Park is only 4 hours away and debatable this is one of the best nature reserves in the world so I try to go there at least once a year. My beautiful wife and I share our love for nature and photography. She is my prime supporter, critic and advisor. Since she discovered the "Shutter release button" on my ex Sony DSC-H9 I can hardly stay ahead with downloading all the photos she captures. It was a case of "Bye, bye Sony". It is great fun to be one of the growing numbers of husband and wife teams on the site. I would like to extend a BIG thank you to Robert Brown (inspirator) and Adam Silverman (creator) for this fantastic site. Touched by Nature is another personal theme which for obvious reasons are very dear to me. I really hope you will enjoy it as much as I did when I captured these photos. Perhaps the notes are the more important aspect here and in order to appreciate this topic to its fullest you have to read the notes to get the story behind the photo. For those who might be interested, you can see some of my "other" photos which are not shown on TrekNature, on my pages in FaceBook. Sorry, but the viewer is not as good as here on TrekNature. Birds #1, Birds #2, Fishy Business #1, Flowers & Plants #1, Insects & Spiders #1, Landscapes #1, Mammals #1, Mammals #2, Reptiles & Amphibians #1, Cape Trip 2011 #01 and Cape Trip 2011 #02 .
loot is a favorite of 145 members.